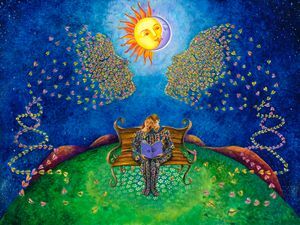 From the series "Storytelling. 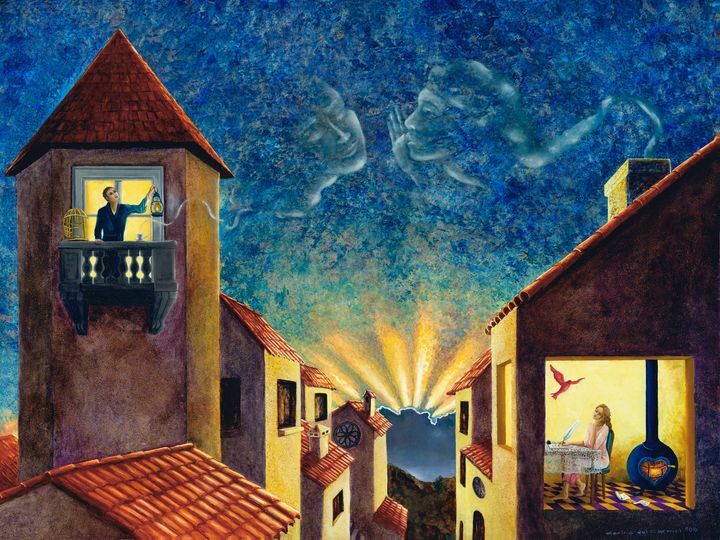 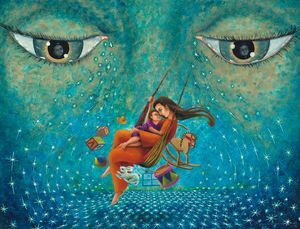 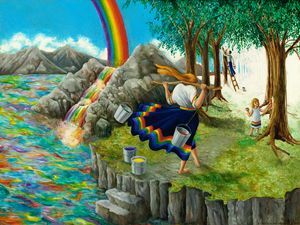 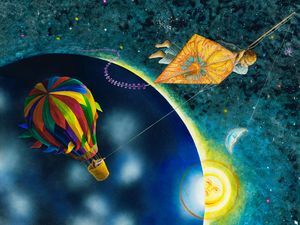 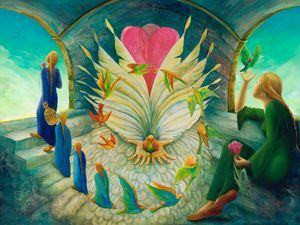 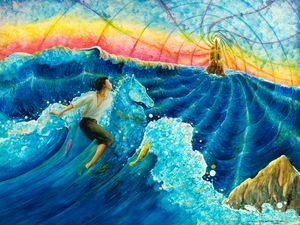 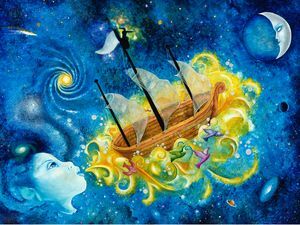 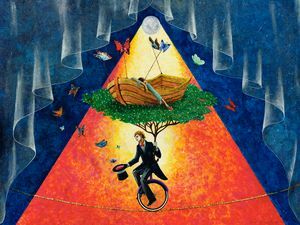 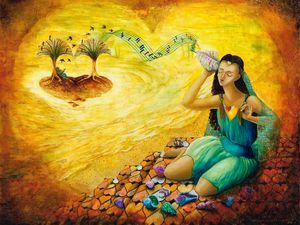 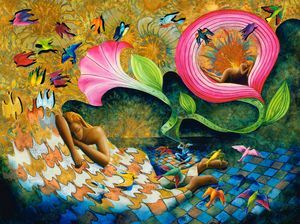 this painting illustrates some of the poetry of the children bilingual book "The Lady of the Wind". 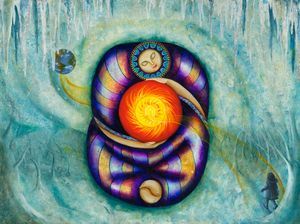 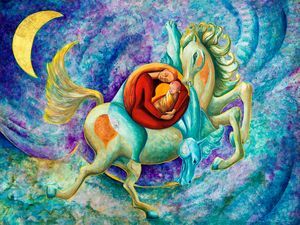 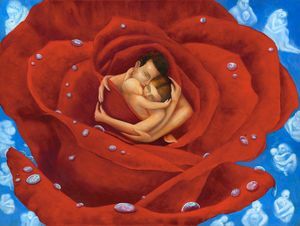 The image represents love messages and was made using oil and acrylic colors on claybord.